There are few squadrons within the Royal Air Force that have such longevity as No 27. Disbanded on six occasions since its creation, the Squadron has gone on to be subsequently reformed over the past century and remains operational to this day. No 27 has taken part in many of the major conflicts over the past 100 years, including the First & Second World Wars, Suez, the Cold War and more recently, operations in the Gulf, Kosovo and Afghanistan. ​On 5 November 1915 No 27 Squadron was formed as part of the Royal Flying Corps at Hounslow Heath Aerodrome. Initially equipped with the Martynside G.100 Elephant bi-plane, which was deemed to be a fighter, No 27 went on to utilise the aircraft for reconnaissance and bombing, a role for which it was more suited. 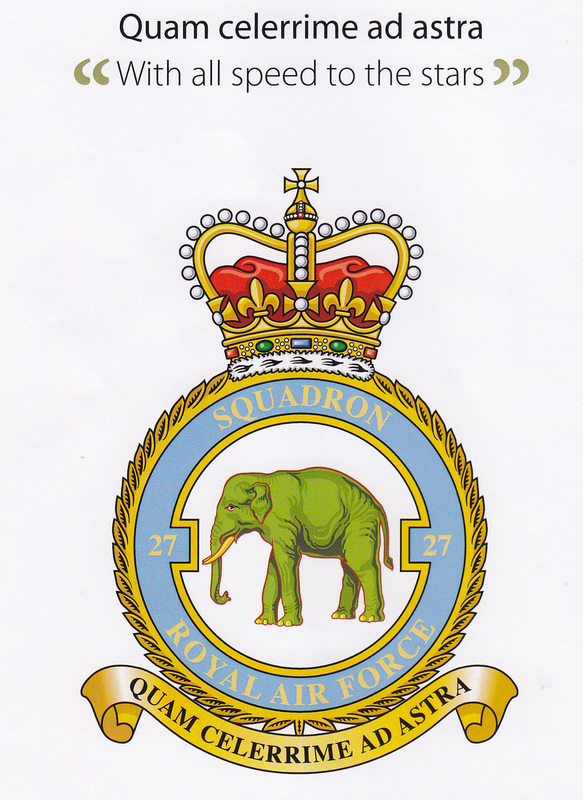 The Elephant is a fairly unknown aircraft but it went onto to feature within the Squadron’s official badge with the latin motto of, “Quam celerrime ad astra”, which translates into, “With all speed to the stars”. 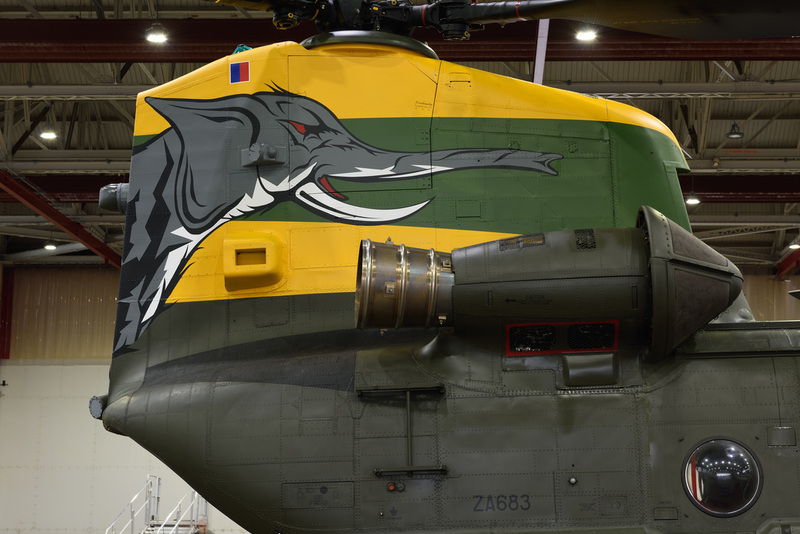 With the centenary of No 27’s creation occurring on 5 November 2015, the Squadron commemorated the event with one of their Chinook HC.4s (ZA683) being adorned with special tail rotor pylon and fuselage artwork. 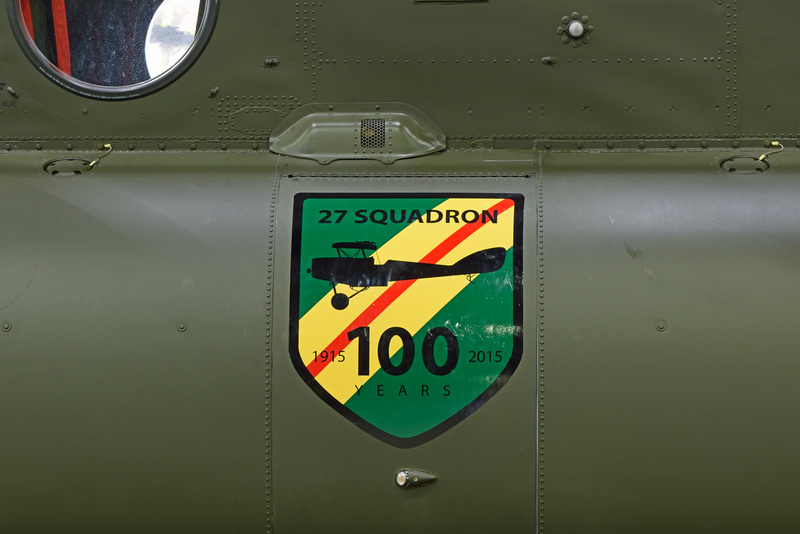 To launch the new scheme a media event was held at RAF Odiham on the anniversary date of the Squadron’s creation. 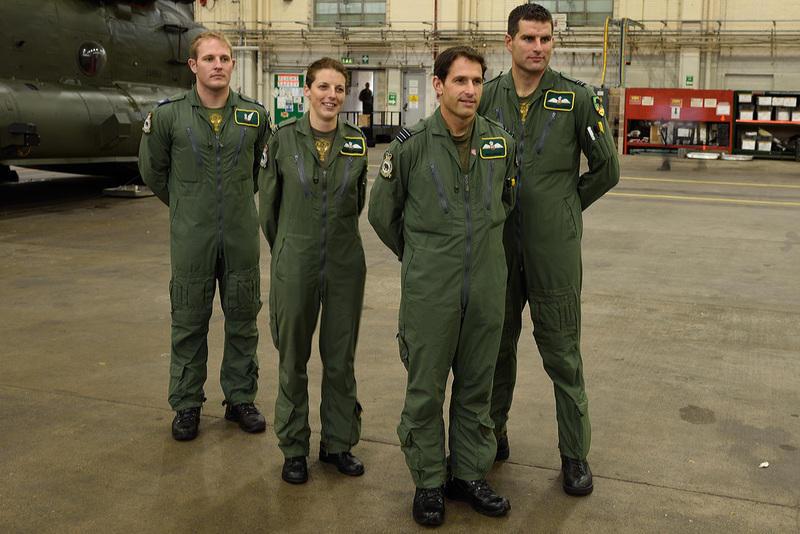 Present on the day were Officer Commanding 27 Squadron Wing Commander Nicholas Knight, OC C Flight Squadron Leader Hannah Brown, Flt Lt Matt Holloway and Sgt Caldwell. 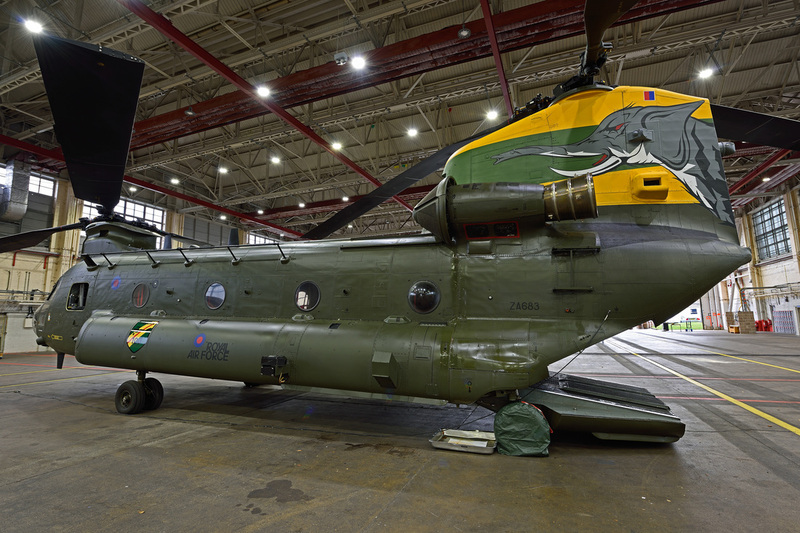 Heavy rain and strong winds kept the Chinook hangered on the day but the opportunity was taken to photograph the new artwork and also to converse with the attending crew. They spoke of the recent upgrades to the Chinook with digital replacing analogue displays within the cockpits and changes to navigation aids. The work undertaken has taken a fairly elderly airframe and transformed it to adapt to the modern aerial environment, which should increase the type’s service life considerably. As the event drew to a close the wind and rain continued to make its presence felt across the Hampshire countryside. Out on the field the familiar sound of a Chinook undertaking training could be heard and thoughts went to those who flew in open cockpits in such conditions 100 years ago. It will now not be long before an Elephant is again seen in the skies, a fitting tribute to those who pioneered military aviation in the early days of flight, where there was little in the way of protection with not just the enemy being the foe. With many thanks to Flt Lt Nyssa Cole & Flt Lt Rachel Potts for arranging the event and for being such genial hosts on the day. Also with thanks to Chris Cannon (www.simplyplanes.co.uk) for the invite to attend this and other recent events.